The Auchenorrhyncha are part of the Hemiptera ('true bugs') and include insects commonly referred to as leafhoppers, planthoppers, froghoppers, treehoppers and cicadas. Almost 400 species have been recorded in Britain and Ireland. 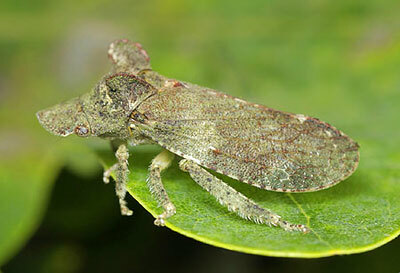 There has been a recent upsurge of interest in this group of insects, prompted largely by new identification resources. In particular, the English edition of The Plant- and Leafhoppers of Germany was published in 2009 and covers most of the British fauna. This website provides a focus for this increased interest and is intended to stimulate wider recording of Auchenorrhyncha in Britain and Ireland. It contains much information that should help you find out more about this fascinating group of insects. All records are welcomed; even casual sightings of common species can contribute to filling major gaps in geographic coverage and thereby help to improve our knowledge of Auchenorrhyncha distribution, ecology and conservation significance.